If you have a home with recessed light fixtures –those lightbulbs in the ceiling – and bathroom fans, you need CanCoverIt. All metal fixtures, including air-tight ones, leak energy! Those fixtures are metal, so even insulation covering them cannot stop their intense conduction. 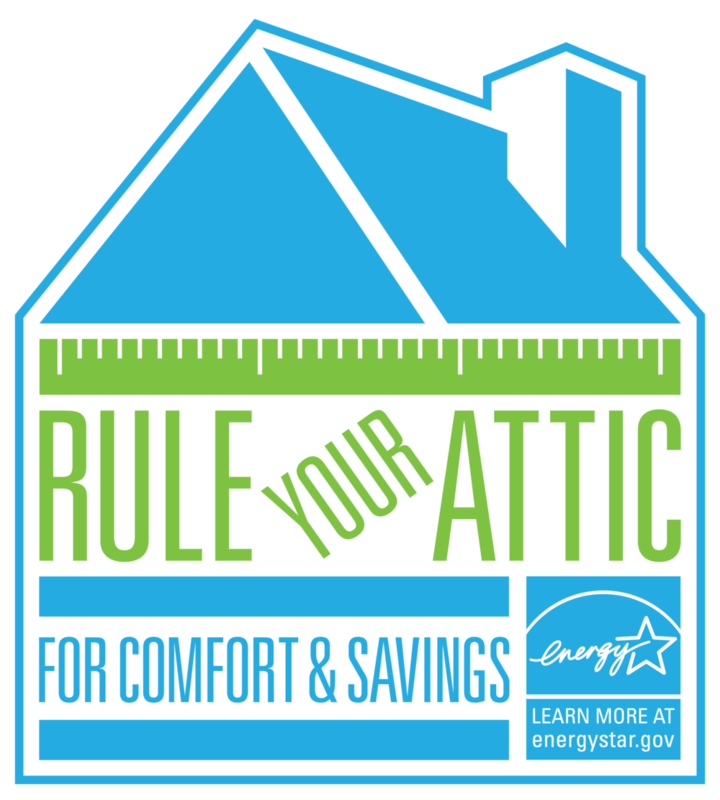 So when the attic is hot, those can-lights and bathroom fans are bringing heat in directly, when the attic is cold that cold is infiltrating through the fixtures. Even if you have used air-sealed IC rated can-lights, you still have this problem. In fact, with air-sealed can-lights homeowners often have deeper problems show up when they’re most inconvenient: from moisture build-up to lightbulb failure. CanCoverIt can eliminate drafts that persisted even after air-sealing work was done. Many drafts in your home are caused by the thermal transfer of metal fixtures moving the air inside your home around, not necessarily outside air coming in. You need to protect your metal ceiling fixtures from the wild temperature swings of your attic, and the fastest, easiest, most effective way to do so is with CanCoverIt. It’s so easy that you can do it yourself, provided you can get up into the attic. If you don’t want to crawl around, hire a local contractor and get them to install CanCoverIt. A CanCoverIt and blown insulation upgrade will take just one afternoon. Make sure to demand any installer use CanCoverIt. There are other recessed light covers on the market, but they all fail in one dimension or another. The ones that look like flower pots still let moisture, air and thermal energy through; all they do is keep insulation off of the fixture. The flower pots cannot and do not solve the core problem of ceiling fixtures, they are a waste of your time and money. Cardboard boxes and flower pots will fail over time, and don't have enough insualtion anyway. Also watch out for cardboard boxes, even ones that say they are chemically ‘treated.’ These will sag over time under the weight of insulation, and still pose a greater fire risk due to their main material being cardboard. Moreover, cardboard boxes, even chemically treated ones, do not have the correct insulation properties to actually solve any problems. They too are just to keep insulation away from the fixture, and they will fail that job over the course of time. You need to demand that only CanCoverIt goes up in your attic. CanCoverIt brings your metal ceiling fixtures out of the attic and into the house air, so they no longer cause you problems and are much more protected. Only CanCoverIt has the correct combination of insulation and radiant barrier to protect your interior home from all weather conditions, moisture buildup, mold and pests. Only CanCoverIt will prolong the life of LED bulbs installed in recessed light fixtures. Only CanCoverIt has the correct load-bearing shape to keep its form even after years of insulation pressing down on it. CanCoverIt is the easiest to install which means the job will take less time while delivering you superior results. You will notice increased comfort, lower bills and over time with LED bulbs see their lifespan maximized. Before you do any other home upgrade, rule your attic to create a perfect platform for all your other upgrade desires. You deserve a comfortable and efficient home, and you can get it in just one afternoon with CanCoverIt. Posted on December 14, 2017 by John Hanacek and tagged upgrade retrofit recessed lights. It is a great intention to try getting better scores and metrics to help homeowners, but so many people are trying to approach this angle that it is now starting to overwhelm homeowners. A metric is less impactful than using a ‘halo effect’ around a few fast, tangible upgrades. Look to Apple’s success getting people into an ecosystem of products using one key product. Over here at CanCoverIt we see our solution as an ideal halo effect product - do it first and then approach other specifics later. It’s low-cost/high-impact so it will win over the homeowner to more advanced concerns later, but delivers the majority result immediately so that even if they never go further it’s still a win at scale. One of those messages will resonate, the other has not historically and still isn’t today. The great news is that we can still get homeowners interested in technical specifics and metrics, but let’s do it after they have actually upgraded the structure of their home. I hope this message resonates with you because, dropping the business persona for a moment, I’m a 27 year old guy who is terrified of how we just keep on adding air conditioner load and heating use to the residential grid while it remains unchanged in efficiency. There is a lot of talk around metrics for testing homes, and great work going on in new construction, but the elephant in the room is that existing homes are the massive majority of the problem, and they aren't getting replaced any time soon! But I’ve become much more optimistic the more I see homeowners do attic upgrades with CanCoverIt right away. They're cutting their HVAC use in half with just an afternoon of CanCoverIt and some standard blown insulation. This is huge, and it will actually happen because it's low-cost and easy to implement. I have been shown through working with CanCoverIt that it is possible to get everyone in North America to upgrade their homes nearly overnight, but it has to be a no-brainer or we’ll lose them in the hustle of their daily lives as we have been losing them for the last few decades! So if you are going to measure someone's house, make sure you fix it too before you leave. One afternoon of CanCoverIt upgrade makes a huge difference in each homeowner's life, now let's scale it up! 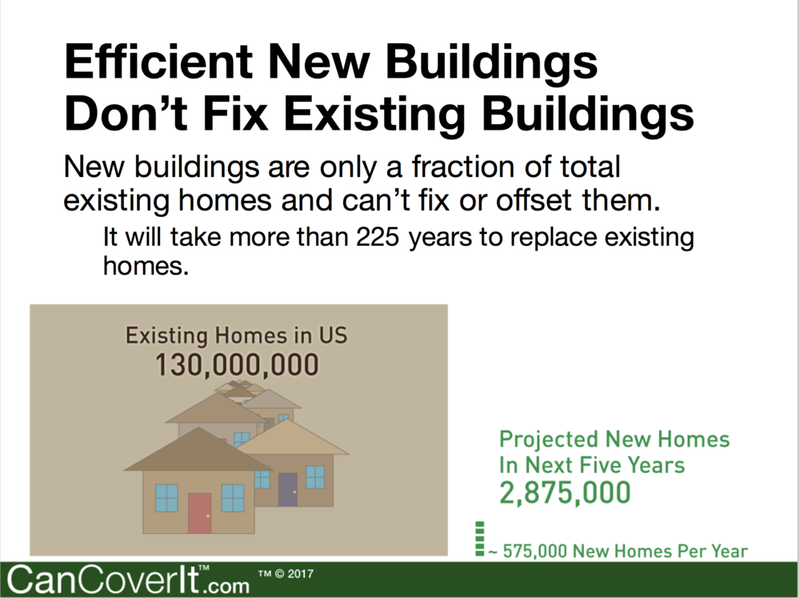 Posted on December 5, 2017 by John Hanacek and tagged home efficiency home owner upgrade retrofit climate.